Interested in hiring a skip bin? Are you thinking about renting mini skips in Adelaide? People in South Australia generate about 10 million metric tons of rubbish every year from domestic household and construction rubbish to commercial and industrial wastes. You’ve got to wonder; what can you do to help and better manage your rubbish or construction waste? That’s actually where Easy skips bins can help. Most people make an effort to reduce, reuse and recycle, but that’s not always enough. A good option to make sure you’ve always got a solution for all your waste management needs is to rent or hire a mini skip. These bins are particularly useful when doing cleanups and construction projects or any activity that involves you dealing with a significant amount of trash. With many skips, getting rid of any clutter couldn’t be easier. You’ll not only get access to a good sized bin to store all of your garbage, but you’ll have professionals come in and haul the bin away for you. How convenient is that!? Yes hiring a skip bin will cost you but most people don’t realise that it ultimately helps you save on cost. Think of the transportation expenses that you’ll have to deal with should you decide to transport and haul away all your rubbish yourself not to mention you could end up damaging your vehicle in the process. 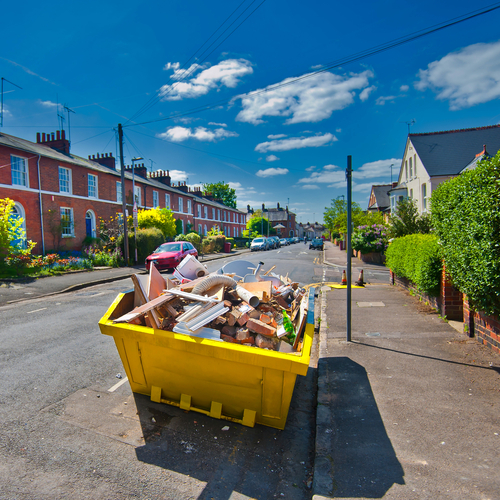 Hiring a skip bin means you’ll have the container delivered to your place and have it picked up thereafter. The vast majority of service providers for skip bins in the country are all trained environmentalist helping you do your part in promoting a green and safe environment in the community. Most of the rubbish collected from a skip bin are sorted and recycled through any of the numbers of waste processing facilities in the country. So there you have it – a few good reasons why renting a skip bin might just be the solution towards your waste management needs. Looking to get started? Call Easy Skips today on (08) 8325 3033 and check out some of the best deals for hiring mini skips in Adelaide!